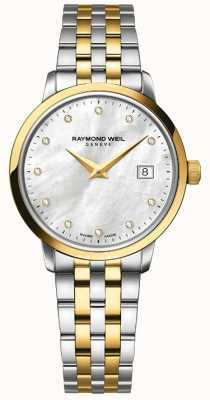 Immaculate design and flawless execution have created this beautiful dress watch which is built and styled with such grace that it is equally suitable for daily use. 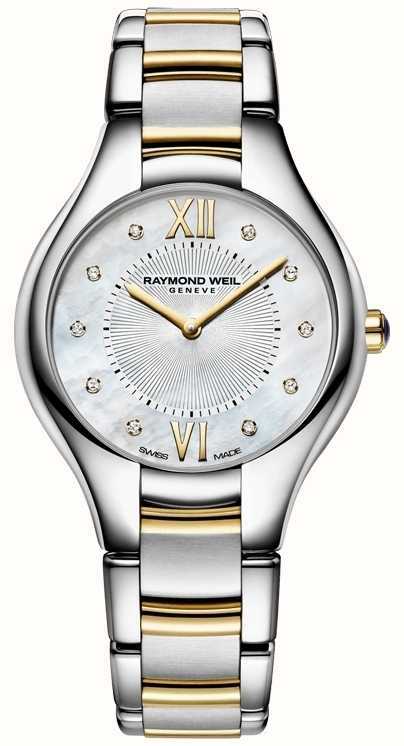 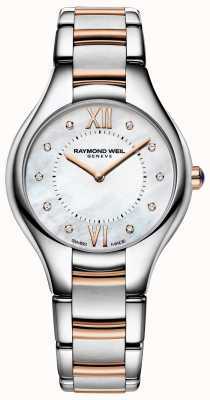 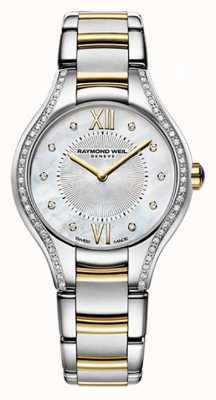 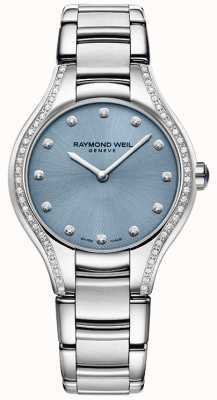 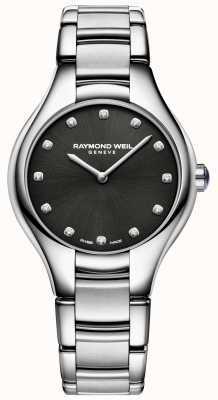 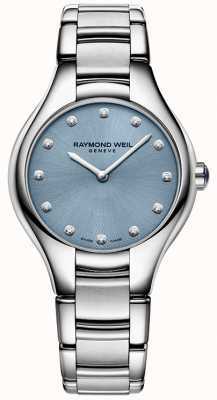 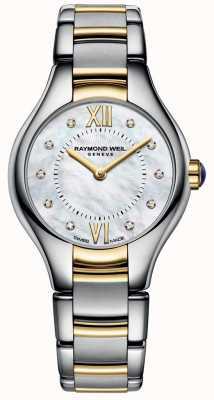 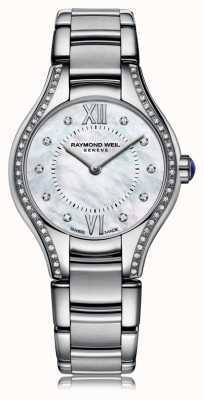 From Raymond Weil's Noemia range, this model's two-tone of stainless-steel and gold, is combined with a mother-of-pearl dial and crowned diamonds in a luxurious finish. 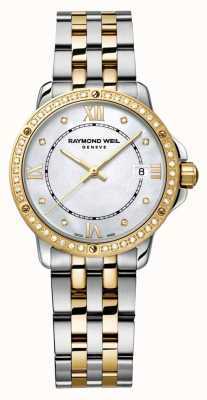 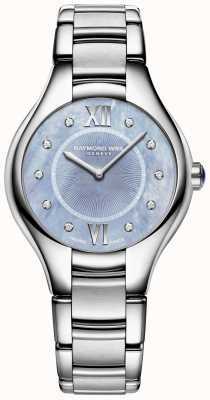 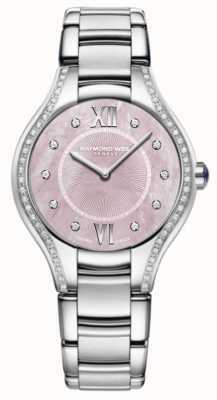 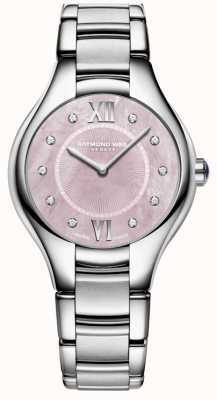 Swiss made to the highest standards, with looks and craftsmanship of the highest order, this is one desirable timepiece.